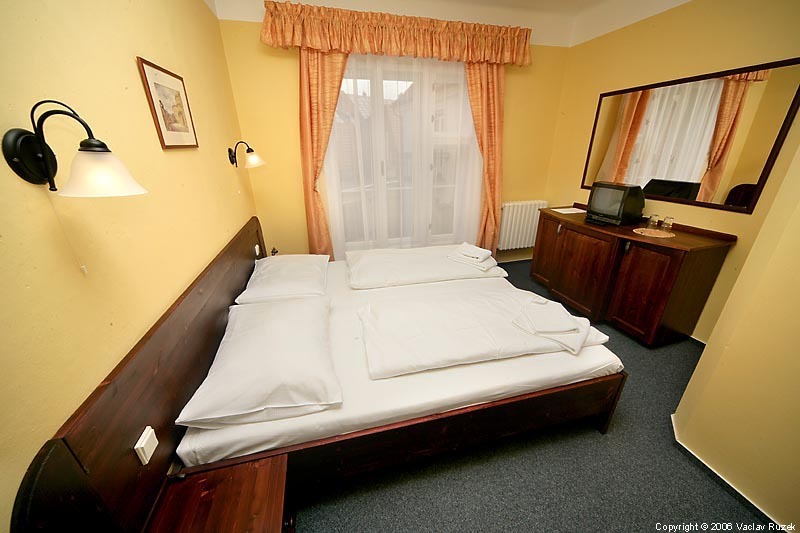 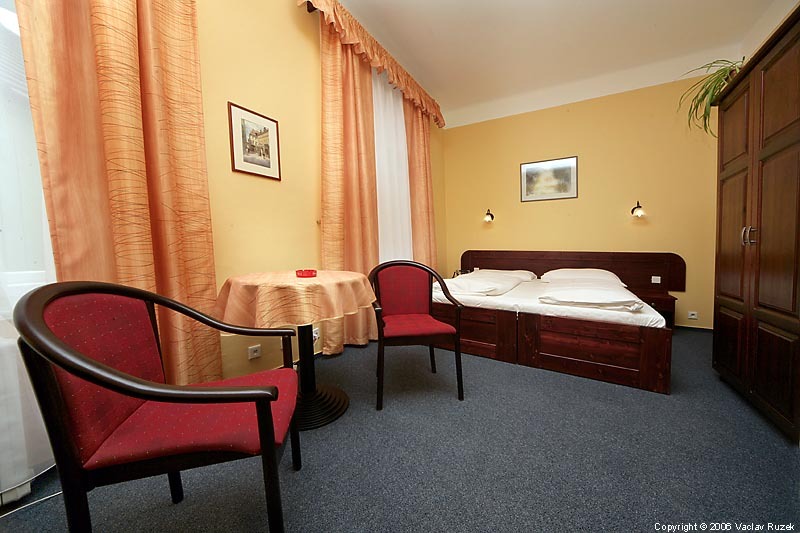 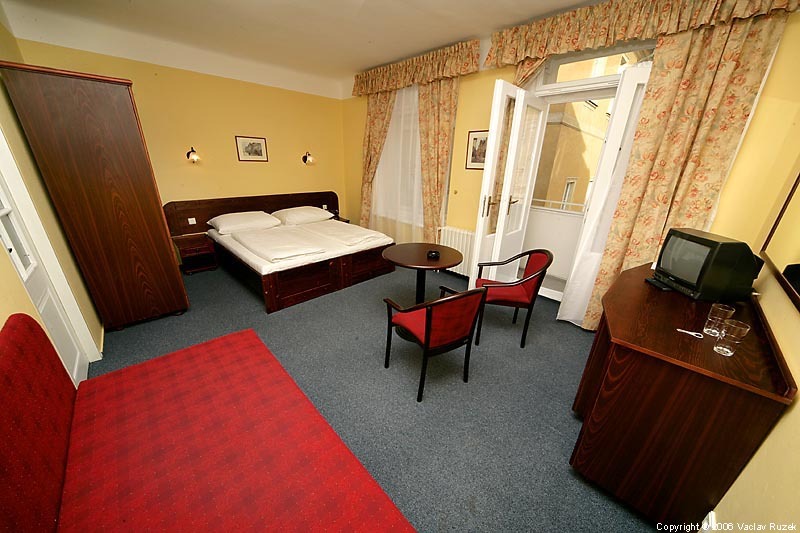 The hotel At The Old Lady / U stare pani is located right in the historical centre of Prague, 3 minutes on foot from the Old Town Square in a small street Michalska. 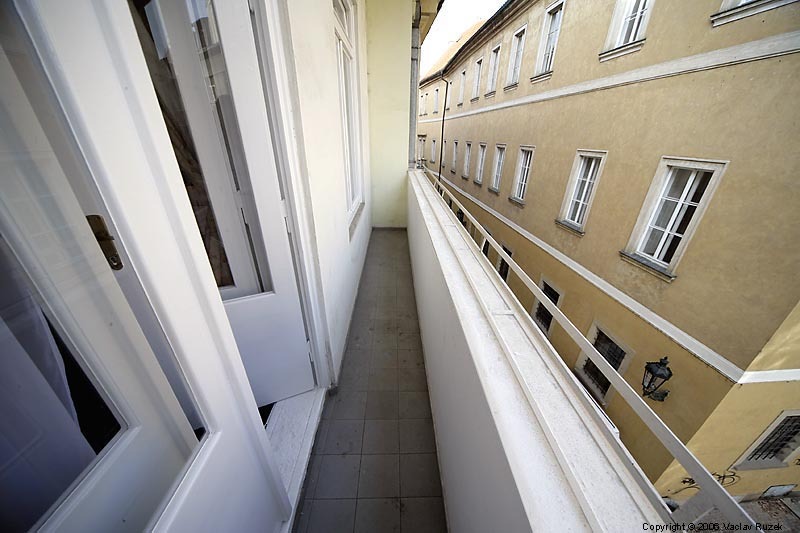 In 1488 owned the house Matej Rejsek, a well-known late Gothic builder (he built Prasna brana and finished the temple of St. Barbora in Kutna Hora). Later the house was renamed as "At the Green Eagle". At the end of the 17th century the house belonged to Lord Mayor Reisman of Reisenberk. Later a pub was established on the same spot, which has been visited freguently by well-known historian Wacslaw Wladiwoj Tomek. In the years 1933 - 35 the historical building was rebuilt by Frantisek Dittrych and turned into a functionalist building. It served as inn, restaurant and wine cellar and was called "At the Old Lady". 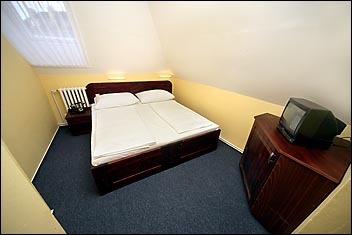 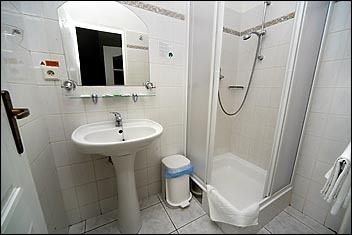 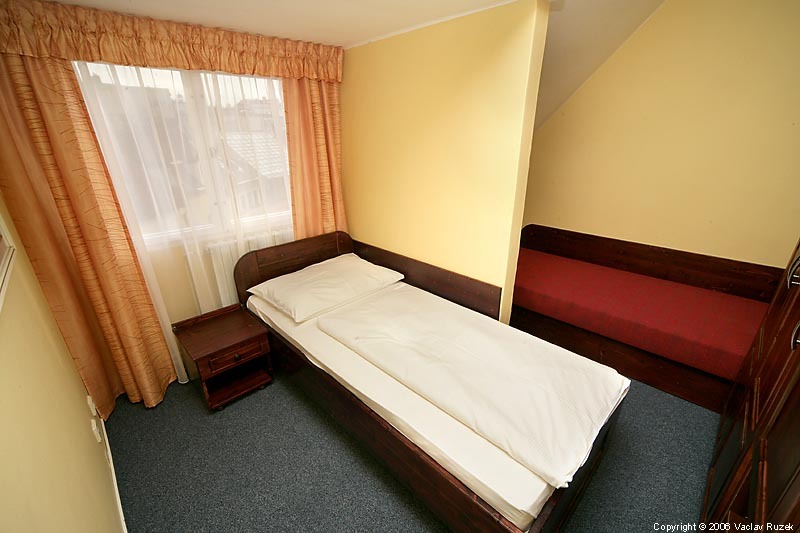 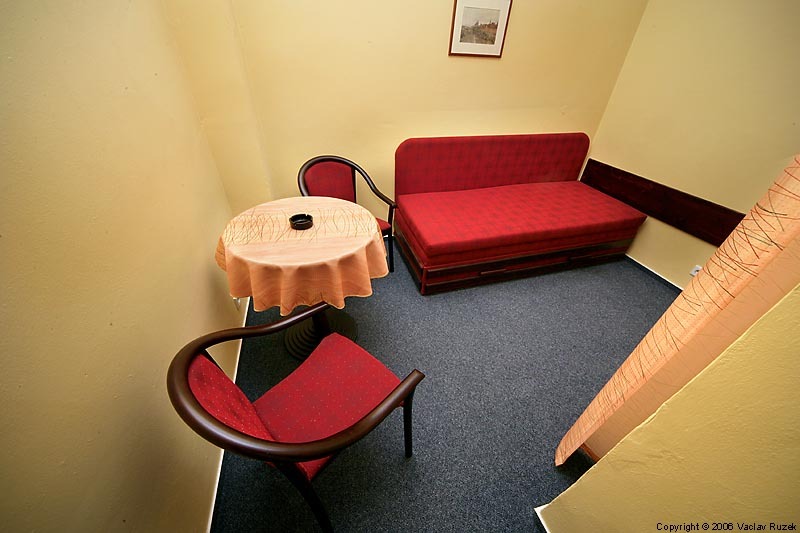 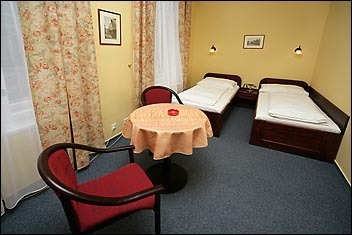 We offer accommodation in 12 double and twin rooms and 5 suites. 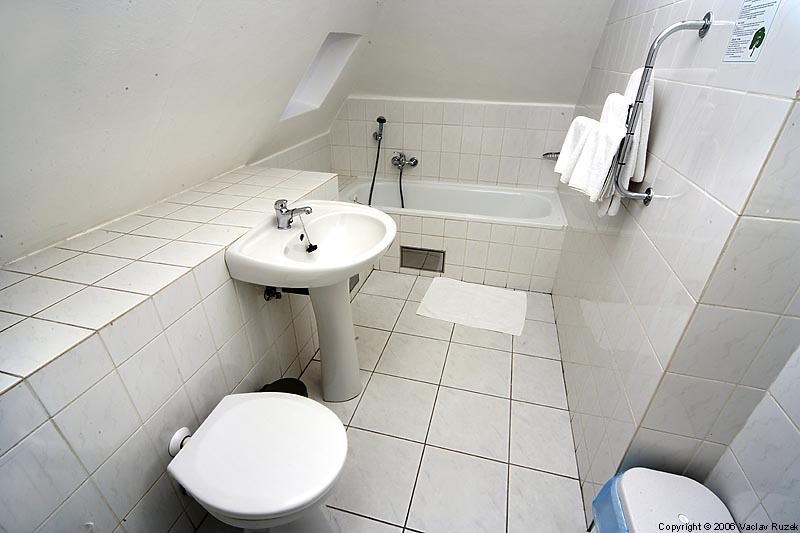 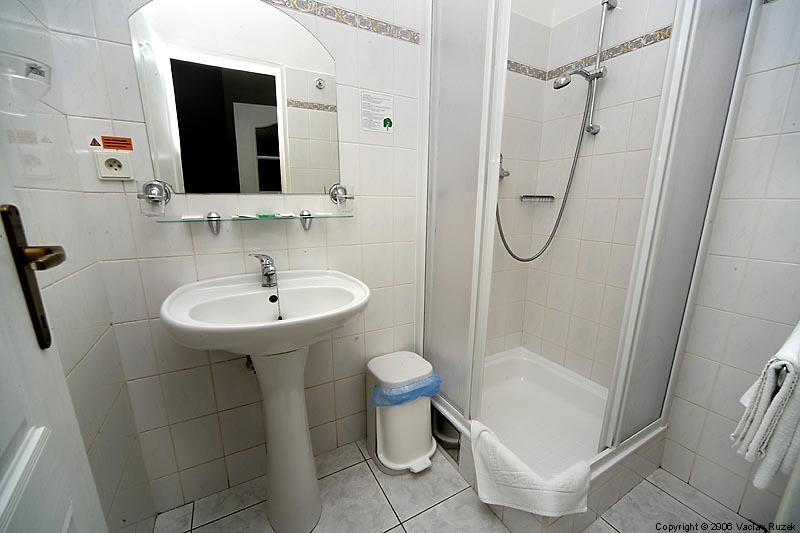 All rooms are equipped with private bathroom and toilet, minibar, TV with satellite reception, Wi-Fi internet connection and direct-dial telephone. 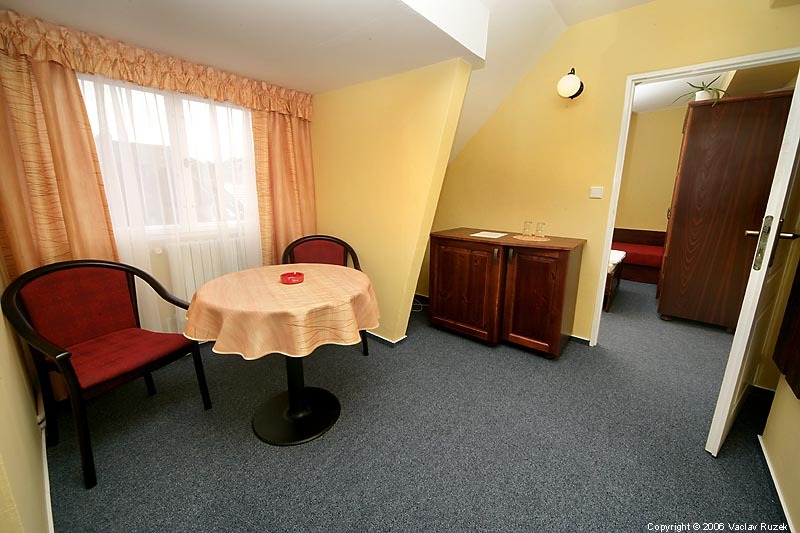 Two double rooms on the second floor have small balconies. 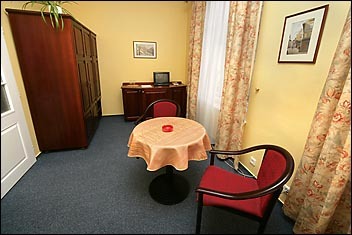 We offer also 5 suites, suitable in particular for families with children. 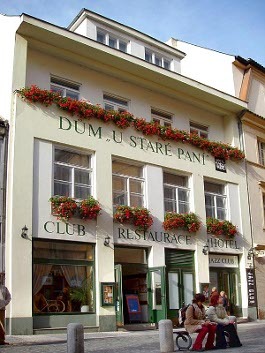 Restaurant is located on the ground floor. 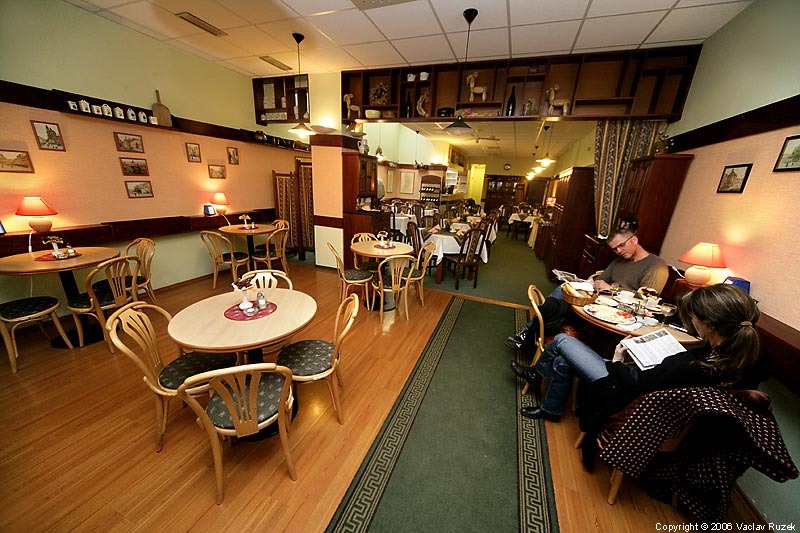 Open daily for breakfast than you can enjoy Czech and international cuisine until 11 PM daily. is located in the basement. 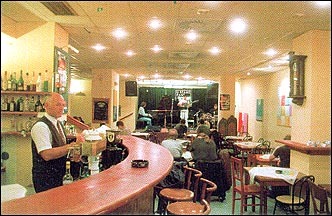 Leading live soloists and ensembles perform daily from 9 PM to 12 PM The club is open from 7 PM to 2 AM. 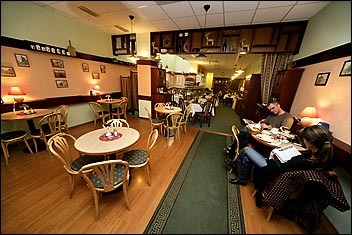 A variety of dishes and drinks are available at very reasonable prices.